The year 1969 was the “calm after the storm.” Or, was it? Richard M. Nixon was sworn in as the President of the United States. We finally had a lunar landing, thanks to Neil Armstrong and “Buzz” Aldrin, with Michael Collins waiting up in space. It was “The Age of Aquarius,” according to Marilyn McCoo, Billy Davis, Jr., and the rest of The 5th Dimension. Yet, it still felt like the revolution was still brewing. That played out on Christopher Street in Manhattan’s West Village at the Stonewall bar. The Manson Family murdered Sharon Tate at Roman Polanski’s home in Los Angeles. And, Northern Ireland saw the start of The Troubles. Meanwhile, Boeing flew its jumbo jet – the 747 – for the first time. It would forever change the way we travel. Then, came Woodstock. Fifty years later, wen look back at a year that promised peace, but still simmered with new threats against it and new revolutions to fight. It may have been The Age of Aquarius, but the automotive world thought otherwise. The year 1969 was full of horsepower, muscle, and innovation. 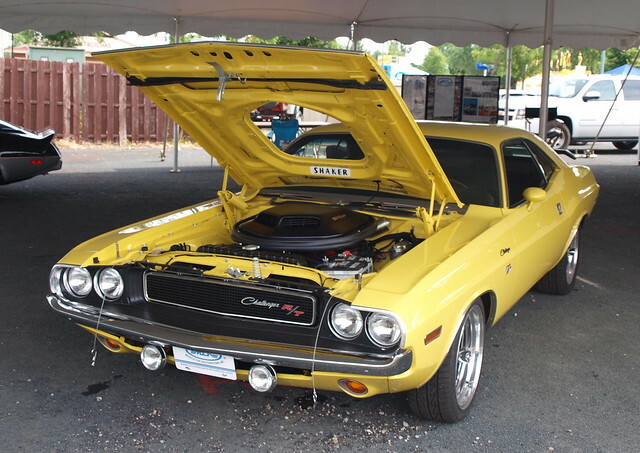 PLYMOUTH BARRACUDA/DODGE CHALLENGER: The fall of 1969 yielded a bumper crop of 1970 model year vehicles that would mark the summit of the muscle car era. Chrysler took the elements of the Fuselage Body full-sized cars and deepen the “Coke Bottle” shape onto a shorter platform. The result was an iconic Mopar duo that would provide the company’s ultimate statement on the ponycar. A customer had a choice of engines, ranging from a Slant Six to a monster HEMI V8. They also had a choice of trims that befitted their purpose, along with one further choice: coupe of convertible. The ultimate was choice was simple: Mopar or No Car. In this case, you had the best of Mopar no matter which one you chose. DATSUN 240Z: If there was one Japanese car that would have a major affect on the industry at the end of the 1960s, it would be this car. The classic coupe had all of the elements that would attract enthusiasts – a long hood, a sleek roofline, an in-line six-cylinder engine, and a sorted chassis. The big difference was in its price, coming in within $200 of the MGB-GT. 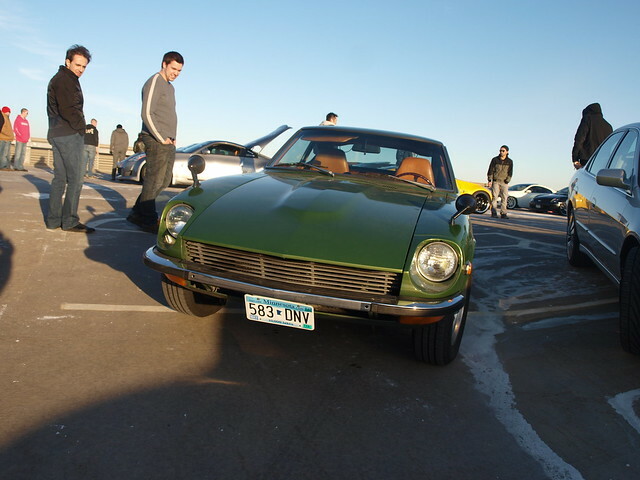 The Z’s legacy was already cemented when customers found themselves on a waiting list to get one that first year. In a span of 11 years, Datsun went from barely selling a single car or truck to offering the hottest car in the country. The Z was worth it – with its superb driving manners and strong six-cylinder engine. It was the sports coupe that was worth waiting for. PORSCHE 914: The folks at Porsche has a brilliant idea. They wanted a companion model to its iconic 911, but how? It had to less expensive, to begin with. Yet, it still had to a be Porsche. So, they contacted their friends at Volkswagen and pitched the idea to jointly build such a car. The result was a shorter, squatter Targa coupe with a choice of air-cooled flat-engines – a four-cylinder and a six-cylinder. While four-cylinder models were selling quite well, there were many purists that dismissed the 914 as a pretender to the line something that continues on with every new Porsche since. 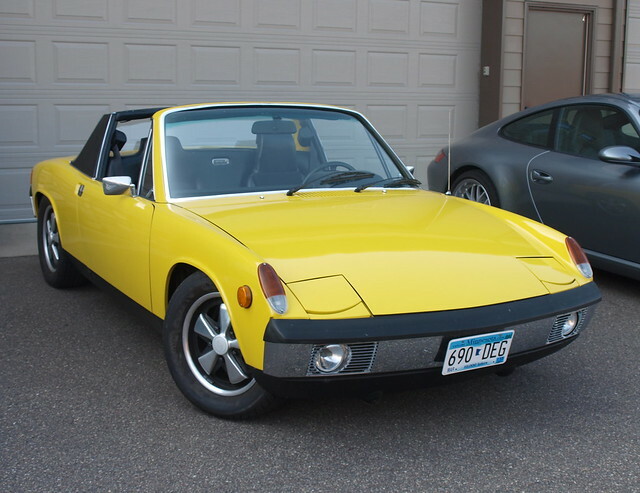 The 914 opened up possibilities for those who could not afford a 911…or even a 912. What they created was a new twist on an old idea that began with Dr. Ferdinand Porsche and his air-cooled, rear-engine coupe a couple of deacdes prior. FORD/MERCURY CAPRI: This car would have a greater impact back in Europe than in the USA. But, nonetheless, it became the brightest star to have ever crossed the Atlantic from Ford’s European business unit. The success of the Mustang lent itself for a European model that hoped it would replicate its American cousin’s success. It began on the MkII Cortina platform, which was already a huge success. From there, designers created a fastback-like body with a long hood and a short deck. The half-circle rear quarter window was of their own design – iconic across Europe. 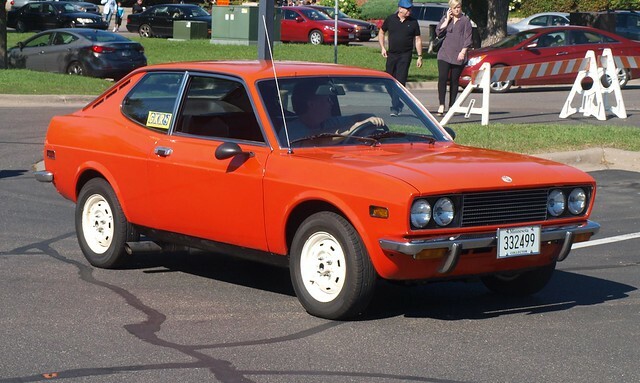 With a wide array of engines – depending on where you lived in Europe – the Capri emerged from mixed reviews to becoming a hit among consumers. It was affordable and accessible to many pocketbooks. The car would show up the next year in North America through Mercury dealers with a single 2.0-liter four-cylinder engine. FIAT 128: It was not the first front-drive with a transversely-mounted engine in the world. However, it would serve as a blueprint for every car of its kind from that point onward. The key word here was “modern,” which extended a movement of European cars that looked ahead towards the 1970s in design and engineering. Fiat achieved this modernity by taking Sir Alec Issigonis’ original engineering principles and finding ways to make it more accessible for families in terms of interior volume and utilization. It would have a long run on the production line, spawning variants through Fiat’s partners. What they accomplished was taking a new idea and simplifying it even better. And, they built upon that same premise with a coupe variant arriving a couple of years later. AMC HORNET: The 1970 model year would be a transition point for American Motors. The fall of 1969 saw the Rambler name fall away. However, the new compact retained the American’s platform with a more modern body. They also retained many of the components from the American even though it sported a new interior. They did this because of a lack of money in developing new vehicles – they spent it all on the Javelin and AMX. Let’s not forget leveraging the pre-1954 merger past for its model name. However, the Hornet was badly needed new product for AMC showrooms. That alone was reason for remembering the Hornet. MITSUBISHI GALANT: Although Dodge dealers received a version of this car a year later, it all began with a simple lineup made to boost the fortunes of the three-diamond badge. 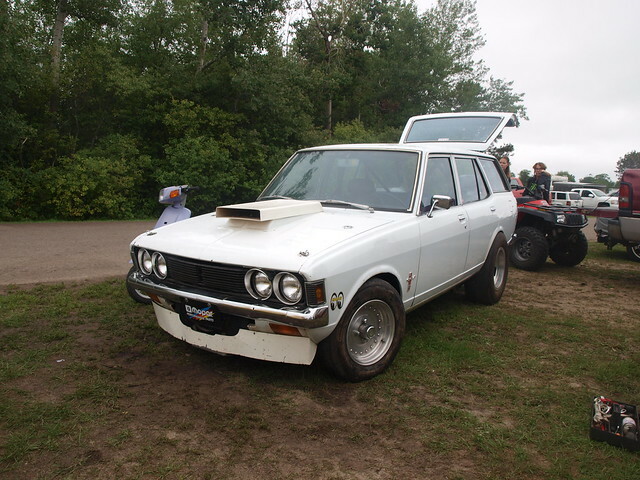 Mitsubishi badly needed a global vehicle – one that competed head-on with the Datsun 510 and Toyota Corona. Both cars found gold in markets beyond Japan. The Galant would soon follow. It was modern and handsome, taking cues from design trends of the time. There was truly a bit more style when compared to the Corona and 510, even though Mitsubishi offered a more mundane engine lineup ranging from 1.3 to 1.6 liters. The most important point to make about the Galant was how it catapulted Mitsubishi onto the global stage. It would jumpstart a historic run that would sustain the company for the next few decades and beyond.